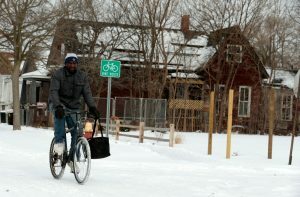 CHICAGO (Reuters) – A blast of Arctic air from the polar vortex brought record-setting cold to a wide swath of the United States on Tuesday, stretching from the Dakotas through Maine, with snow expected as far south as Alabama and Georgia. The Midwest was the hardest hit region, as temperatures plummeted below zero Fahrenheit. By mid-afternoon, the mercury was hovering at 6 degrees Farenheit in Chicago, 12 degrees in Detroit and minus-22 in Fargo, North Dakota. The brutal chill was caused by the polar vortex, a mass of freezing air that normally spins around the North Pole but has made its way south into the United States. 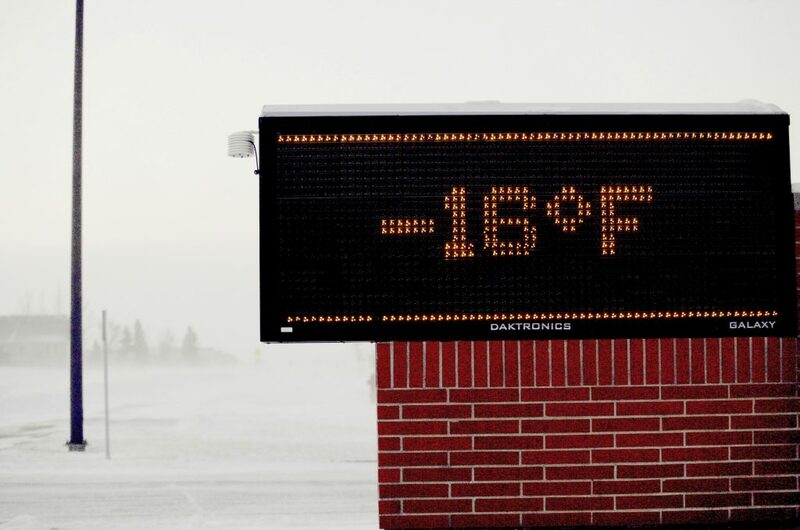 Officials warned residents, long accustomed to chilling winters, to expect an unusually deep and dangerous freeze. “This storm poses a serious threat to the well-being of people around the state, and we will use every tool at our disposal to keep our residents safe,” Illinois Governor J.B. Pritzker said in a statement on Tuesday. A low of minus 10 was forecast in Chicago on Wednesday. But with the wind chill factored in, temperatures will feel as low as minus-50 at times in the Chicago area and northern Illinois by Tuesday evening, the National Weather Service reported. 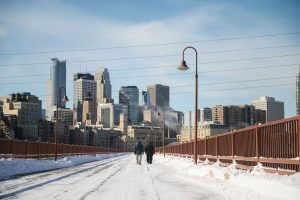 Temperatures could reach lows of minus-30 to minus-40 in parts of the Northern Plains and Great Lakes on Wednesday, the NWS said. 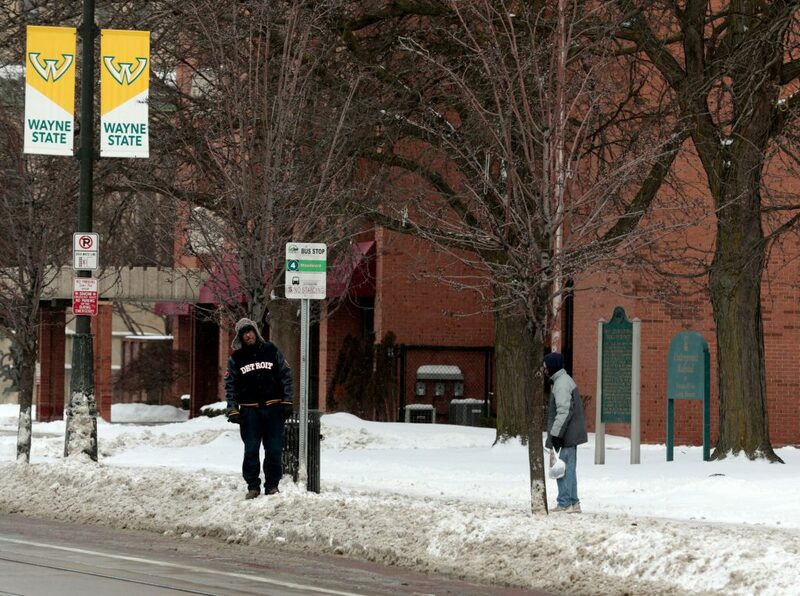 Many cities in the Midwest opened warming shelters. Regional governments closed hundreds of schools and airlines canceled more than 1,000 flights, including many destined for Atlanta, where the National Football League’s Super Bowl will take place on Sunday. Half of the flights in and out of Chicago’s Midway International Airport were canceled on Tuesday, according to tracking service FlightAware. As much as two feet of snow was forecast in Wisconsin, and six inches in Illinois. Snow was expected through Wednesday from the Great Lakes region into New England. Gilbert Rothschild, 79, walked through a corridor wearing an undershirt and three sweaters underneath his parka. “The more layers, the more you’re insulated,” he said. A president of a liquor retailer, Rothschild said he planned on keeping his stores open on Wednesday, figuring customers who were not working might want to pick up something to keep them feeling warm at home. Marquis Drew, a 28-year-old homeless man, was napping on the sixth floor of the library, where he has been coming in recent days to get out of the cold. He said he might spend the night in a parking garage or outside in a sleeping bag, “as long as there’s no snow coming down,” he said. Jim Hayes, an NWS meteorologist, warned that frostbite was possible within 10 minutes in the intense cold, which was forecast to linger for days. In Chicago, which has the nation’s third-largest school system, officials plan to cancel classes for all 360,000 students on Wednesday due to the severe weather. Detroit said all public schools would close, too. The Chicago Zoological Society said it would shut down Brookfield Zoo for only the fourth time in its 85-year history on Tuesday and Wednesday. There have been nearly 500 crashes on Illinois roads since Sunday, the state police said. The freezing temperatures may have killed a man in Rochester, Minnesota, who was found dead outside his home on Sunday, according to a report by WCCO, a local CBS affiliate. Rochester police officials did not respond to a request for comment. Parts of north and central Georgia may see about 2 inches or more of snow in the coming days, along with freezing rain and ice-slicked highways. Georgia Governor Brian Kemp shut government offices in 35 counties on Tuesday, and schools across swaths of the state were also closed.